Comic actor Jonathan Winters who starred in movies and on television, died this past week at 87. Winters was one of the most talented improvisational actors and comics in the industry. He starred in his own show The Jonathan Winters Show, the well-known television show Mork and Mindy and the hilariously funny movie It’s a Mad, Mad, Mad World. Winters was the godfather of improv comedians such as Jim Carrey and Robin Williams, but revered as a comic by the likes of Billy Crystal and Lily Tomlin. Bill Cosby, the well-known actor and comedian, said he listened to Winters when he started his career. Bob Newhart tweeted that Winters was the king, he was number one and no one is number two. Carrey said in a tweet that Winters did God’s work. Albert Brooks called Winters beyond funny. He said Winters invented a new comedic genius category. Winters like many of his fellow comedians, was known to have personal neuroses that he would channel into his stand up characters and act. However, his life was not without its problems. The long time comedian battled alcoholism for many years. He suffered a nervous breakdown that caused him to be admitted for more than eight months to a hospital during the 1950s. Later he said doctors diagnosed him as manic-depressive, though he said he did not want sympathy from people who earned far less than he did in jobs that were far more taxing. 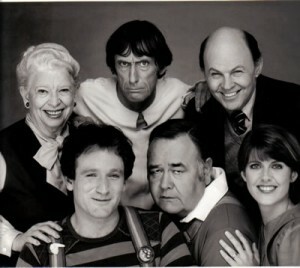 Winters appeared during his career in 50 movies and Williams recruited him to play in 1981 in Mork and Mindy the popular television series.